I hesitate to mention this, as it’s January 14 and this is my first post here since the beginning of the year (though I did write about Simon Garfield’s engaging To the Letter, and the letter-writing resolution it inspired, on my other blog last week), but one of my new year’s resolutions is to post here more regularly: specifically, once a week, although occasionally there may be extra posts, and I’m allowing myself to miss the occasional week for vacations, illnesses, etc. I’m sure my twenty readers will be crushed by these lapses. While I was considering a reasonable frequency for blog posts, I was also considering content. Should I limit myself to book reviews? That would focus things a bit more; this could be a book review blog. But I like having the latitude to write about any issue relevant to libraries, publishing, intellectual freedom, etc. that catches my interest, so I decided not to change the content much. 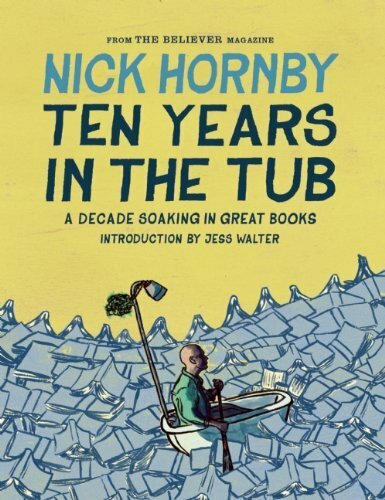 That said, Nick Hornby’s Ten Years in the Tub, a collection of his columns for the Believer over the past decade, presents a really excellent structure for writing about books, the only problem being that Nick Hornby’s already gone and done it. Even though, given 2,000 words a month, I’d write different things about different books (and I wouldn’t write at all about cricket or football), it seems a bit cheap to steal his format. For today, then, I’ll just write about what Hornby has written about what he’s read. (How’s that for meta?) For those who aren’t familiar with his Believer column, he starts each one off with a list of “Books Bought” and “Books Read.” (It’s already a brilliant idea, isn’t it?) The overlap between the two lists varies from month to month, as you can imagine, and it’s interesting to see how one book leads to another, what gets read and what gets set aside, sometimes cropping up months later. As he is writing about so many books in a relatively small space, his transitions can be a bit jarring (or rather, transitions are often lacking entirely); some books receive several paragraphs of attention and others are dealt with in a sentence or two. We can forgive this unevenness though, because Hornby writes with humor, self-deprecation, and intelligence. He often turns on himself, retracting something he wrote in a previous month or even earlier in the same column; for example, one month he writes, “Books are, let’s face it, better than everything else.” Yes! But the next time the World Cup rolls around, he does a reversal. It just so happens I’ve read and loved all three of those books, though I was younger than Hornby when I read them. (I’m still younger than him now. Ha!) Candide, in particular, I read in eleventh grade; I remember being intimidated because it was old, and French, and a classic, but felt better when I saw how tiny it was, and upon reading it thought it quite funny and not intimidating at all. I do see his point about The Prime of Miss Jean Brodie; I saw the movie after reading the book (I think) and Maggie Smith was – as she always is – tremendous, and memorable. The point stands, though, about influence, and it makes me feel a bit better that I didn’t love Catcher in the Rye the way I was supposed to, even though I read it when you’re supposed to (age 16 or thereabouts). For a young adult classic, I love The Perks of Being a Wallflower a hundred times better. In two of his more recent essays, Hornby wrote about books “of the moment” – those books saturated with contemporary period details, set in a very particular place and time, complete with all its cultural references. 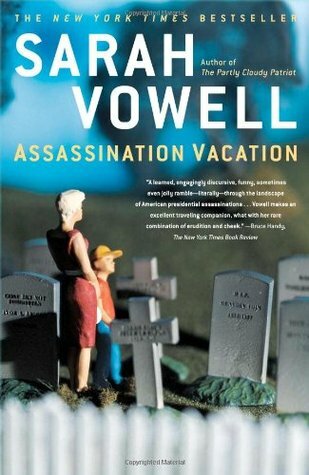 It’s often noted in criticism of books like this that they will lose their appeal over time. 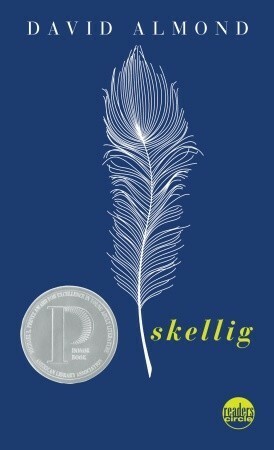 “The received wisdom is that novels too much of the moment won’t last; but what else do we have that delves so deeply into what we were thinking and feeling at any given period? ….Some fiction at least should deal with the state of the here and now, no matter what the cost to the work’s durability, no?” Hornby asks. These books, he argues, have just as much if not more historical value than well-researched historical fiction, because they provide insight to what people were thinking and feeling in a given place and time.